Can We Get A Drumroll, Please? And a couple of French horns! Allow us to introduce you to the designers who will be claiming the runway and spotlight at Tampa Bay Fashion Week 2016! Elizabeth Carson Racker, Tampa Bay Fashion Week alum, designs for the modern everyday woman. Her colorful, patterned designs reflect the multitude of influences that color her life everyday. Recognized by tastemakers such as Andre Leon Talley and David Rodriguez, we’re looking forward to seeing her at this year’s show. Floridita by Charlotte Marin, a Latin American swimwear, resort wear and accessory line was made to bring out your inner mermaid. Designs consist of bright patterns, custom embellishments and intricate embroidery to make wearers of Floridita feel unique. Each piece helps support and empowers single, working mothers who have been victims of violence and war. We’re excited to have this brand, that is making a difference, in the fashion week spotlight. 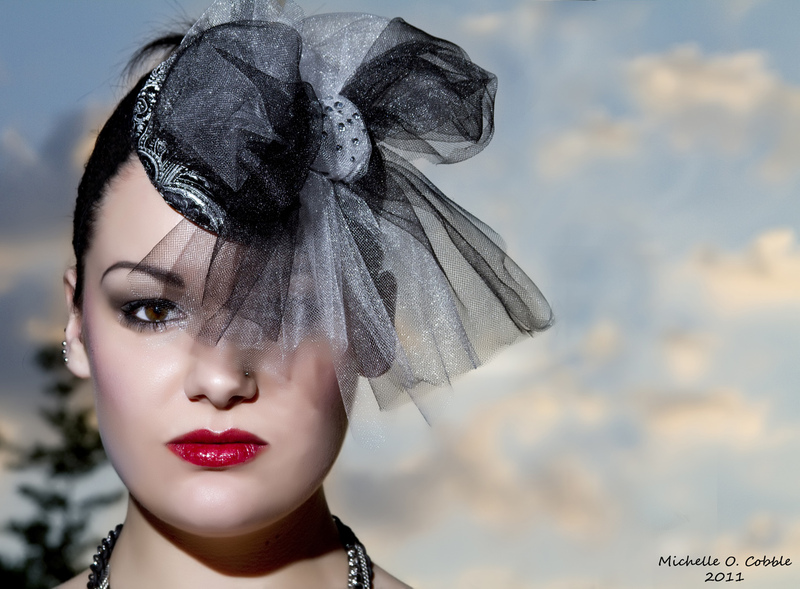 Marsha Vacirca’s Madame Adassa line was created to evoke the natural sensuality and confidence every woman possesses. Her pieces are deeply connected to her culture and her country of origin. It will be awesome to see what passionate expression of creativity, Madame Adassa brings to the stage at this year’s show. Ally B. Swim by Allison Bailey, is a swimwear line that individually constructs and hand makes every suit for order. They combine elements of upscale lingerie with vintage inspiration. Able to withstand any watersport any fashion-forward woman enjoys, we are ready for what Ally B. Swim has to offer for every shape and size. Tracy Negoshian is a trendy multi-line, multi-season clothing label. During her time as a luxury sales and wardrobe consultant, Tracy realized you didn’t have to break the bank to look and feel good. Geared towards the fashion-conscious, budget-friendly woman, we can’t wait to see her philosophy in action on the runway. A select few students will be showcasing their skills on the runway again this year in Sanford Brown-IADT School of Design’s Student Showcase. This is definitely a must-see as we’ve been impressed by the design talent we’ve seen over the years, and this year won’t be any different! This year we’ll see designs from: Smyrne Charles, Joshua Duck, Lakesha Johnson, and Rachel Ternival who will combine classroom instruction with creativity for the runway. Elizabeth Carson Racker, Floridita by Charlotte Marin and Sanford Brown-IADT School of Design will be showing Friday, Sept. 23, 2016. Ally B. Swim and Madame Adassa by Marsha Vacirca will be showing Saturday, Sept. 24, 2016. You won’t want to miss it! Grab your tickets or RSVP for standing room here. As every fashionista knows, no outfit is complete without accessorizing. That is exactly what Tampa Bay Fashion Week featured designer, Dolly Donshey, creates. From unique hats to a jewelry collection launched earlier this month, her work can best be described as one-of-a-kind wearable art. Dolly Donshey began her career studying under the renowned Jan Wutkowski, alumni of the Melbourne School of Millinery in Australia. This is when Dolly discovered her passion for hat making and designing which eventually led to the establishment of House of Donshey Custom Millinery in January 2009. Upon completion of her first full collection, Dolly began to heavily promote her inventive hat lines while working towards the goal of becoming Florida’s number one milliner and introducing her designs around the world. Since debuting, her designs have been featured on Fox 13 as well as in several local and regional fashion shows and magazine publications. We look forward to seeing Dolly Donshey’s unique pieces on the runway as her Fall 2012 “Cycles” collection premieres on September 23rd at Tampa Bay Fashion Week. Join us as we welcome Renee Scarborough, owner of Two Coconuts, to Tampa Bay Fashion Week 2011! Two Coconuts brings sophistication and comfort to all your swim wear and resort wear. Renee, a native of St. Pete, understood how uncomfortable and ill-fitting swimsuits could be, because of this she began creating her own designs for herself. Soon her friends began asking for swim suits and sun dresses for themselves, bringing to life Two Coconuts Swimwear. For 15 years, Renee has been creating her custom swim wear that can be worn by all women. Two Coconuts has a wide selection of swim suits, from bikinis, tankinis and one pieces, with tons of prints to choose from! Renee’s debut at Fashion Week will surely take the audience back to their summer days on the beach with her beautiful designs of swim wear and sun dresses! Here are the “Must Have” trends for this season that we can embrace – and enjoy – during sizzling Florida spring weather. Neutrals and nudes are a huge trend right now. Combine them with black for a chic look or spice it up with a color to avoid the dreaded washed out look. You may even opt for a blush color to take a neutral piece, like a blazer, a bit more feminine without distracting frills. Breezy silhouettes will make enduring even the hottest day easier. Long, loose blouses and swingy dresses are a comfortable yet chic change from too tight dresses and tops. High-waist shorts in black or navy are the perfect alternate to a skirt and make legs appear longer – who doesn’t like that? The look can be made more casual with high-waist flared jeans, paired with a sleeveless racerback or scoop neck top. Spruce up the look with a few statement accessories to rock it at night. One of the most stylish and comfortable ways to step into spring is wearing wedges. They are a happy medium between flats and often painful stilettos. An easy go-to shoe with any outfit, wedges will leave your tootsies feeling great – even at the end of the day. Lace – It’s fun, flirty and can be combined with any of the trends above. Lace can be dressed up or made casual. A light, lace top can be layered over a matching tank and will create the effect of a longer torso. It’s an incredibly versatile piece that can be taken from work to weekends, day to night. The retro and rebellion rocker era of the 80’s inspires modern fashion of today. Fashion Week Tampa Bay 2009 sponsor, Jay’s Fabric Center presents Ben Chmura who will bring fierce retro-futurism to Fashion Week. Ben Chmura started by earning a B.F.A in Fashion Design from the Savannah College of Art and Design in 2001. This talented designer was recognized early with the strong prediction of him succeeding in the fashion industry. My face literally turned green with envy when I learned that Ben met Andre Leon Talley, Vogue magazine Editor-at-Large! I can only imagine sitting across the table from the great Andre Leon Talley… trying not to drool or faint and suffering word vomit to express my love for Vogue. Ben Chmura was one of the four senior students to have the honor of dinner with Andre to discuss fashion and career plans. After living in New York City and freelancing for companies such as TSE, Men’s Express, Ralph Lauren and American Eagle, Ben Chmura moved south to Tampa, FL. He has designed several collections living in Florida including Red Hood, Ozamapoliten, Welcome to the Jungle, Azteca and Venom. Ben also participates in many fashion shows throughout the Tampa Bay area, including his own Sweat Shop show. I love the mix of unique retro style meets fierce rocker futuristic flair that he creates in his collections. Ben gives fans, male and female, quality designs that are effectively moving forward in fashion. No time machine is necessary to see the future of fashion! Although… there will be lights, music and fast speed! Destination… Fashion Week Tampa Bay 2009 where Ben Chmura’s newest collection will be shown. Ben’s designs in the 2009 FWTB event will feature material from Jay’s Fabric Center, which helps meet designers’ needs with fabric, notions, sewing kits, home decorating supplies and more. They provide classes for beginner sewers and great customer service specialists who are happy to help you with your sewing project. Click here for more information about Jay’s Fabric Center in St. Petersburg, FL. Meet Audrey “Pat” McGhee, the genius behind the exotic, innovative, and elegant designs of APM Images. APM Images is an urban couture label for the mature woman, who is the epitome of confidence, mixed with feminine flair. The line is designed for a myriad of women in all shapes in sizes from size 6 to 24, and in various stages of their lives. Pat has channeled her 20 years of industry experience to provide makeovers for bridal parties, women with life-changing illnesses who desire a fresh start, women who want a new look for their work wardrobe, and more. Look for the latest APM Images collection on Fashion Week Tampa Bay’s 2009 runway, for Pat McGhee’s immaculate, one-of-a-kind designs! Welcome to the Fashion Week Tampa Bay Blog! Here the Fashion Week Tampa Bay Stylistas will bring you the latest and greatest fashion trends, style tips, industry news and fashionable things around town and beyond! Want to keep current on all things fashion? Click to subscribe to the Tampa Bay Fashion Week blog and receive updates on designer trends, places to be and Tampa Bay style via e-mail!